Serious criminal charges need to be handled with diligence and care. We stand for your rights and stand with you at trial to represent you fairly. Theft is a crime that calls into question morals potentially making future job employment tough to secure. 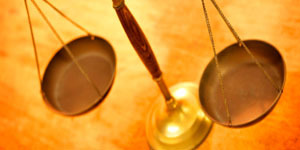 Consult with an experienced theft attorney in Monroe NC to defend your case! Take the time to reach out to us and schedule a consultation. It could save you more than you think and provides counsel on how to proceed before and through the trial. We’ll make ourselves available to hear your case, look at all of the facts and fight to make sure your represented in the proper manner. Theft charges may include the stealing of another persons property, shoplifting, burglary, robbery and even identity theft. North Carolina takes a hard stance against many of these charges, it’s our job to make sure you’re doing the right things to help your case with the pending charges. Trust in theft lawyers who will stand in your corner and make sure you’re heard.